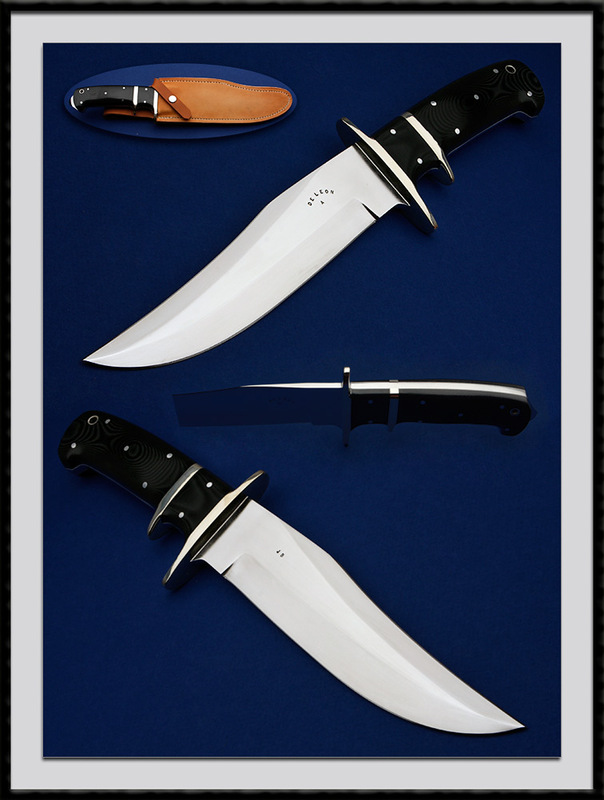 De Leon from Texas, known for his superior fit and finish made this model JB Sub-Hilt Fighter with an 8" ATS-34 blade, OAL = 13 3/8", Nickel Silver fittings, Black Linen Micarta handle slabs accented with SS pins and lined Lanyard hole. Comes with the Heavy duty Custom sheath pictured. Condition is New, direct From Mr. DeLeon's shop.